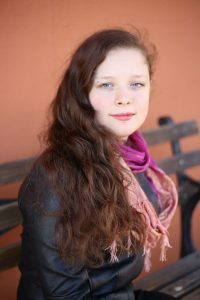 Molly McCully Brown is the author of The Virginia State Colony For Epileptics and Feebleminded, which won the 2016 Lexi Rudnitsky First Book Prize and will be published in 2017 by Persea Books. Her poems and essays have appeared or are forthcoming in Gulf Coast, The Adroit Journal, Image, TriQuarterly Online, Kenyon Review, The Rumpus, Meridian and elsewhere. Raised in rural Virginia, she holds degrees from Bard College at Simon’s Rock and Stanford University. Currently, she is a John and Renée Grisham Fellow at the University of Mississippi.